A fascinating restoration of an early 18th-century country house, Meols Hall is actually made up of bits and pieces reclaimed from other now-vanished stately homes. Some of the bricks used in the 1950s restoration came from Tulketh Hall, and a Palladian door was brought here from Lathom House. 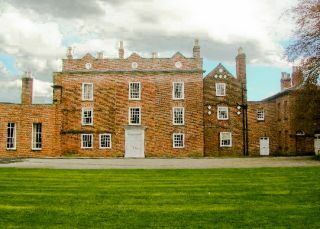 As for Meols Hall itself, the first known house on the site was in the early 12th century. The ownership of the hall has passed through 27 generations, through both male and female lines, to the current owner. Within the house is a priest's hole, or secret chamber, which was a refuge for St Edmund Campion in the dark days of religious persecution following the Reformation. The estate covers a huge area of countryside, including 2000 acres of parkland, woods, and gardens. In the grounds is a 400-year-old tithe barn, one of the finest surviving barns in the country, which now serves as a venue for large gatherings.. Location: 3 miles north east of Southport in Churchtown, south east of the A565. Generally open in late Summer, or to groups by prior arrangement.